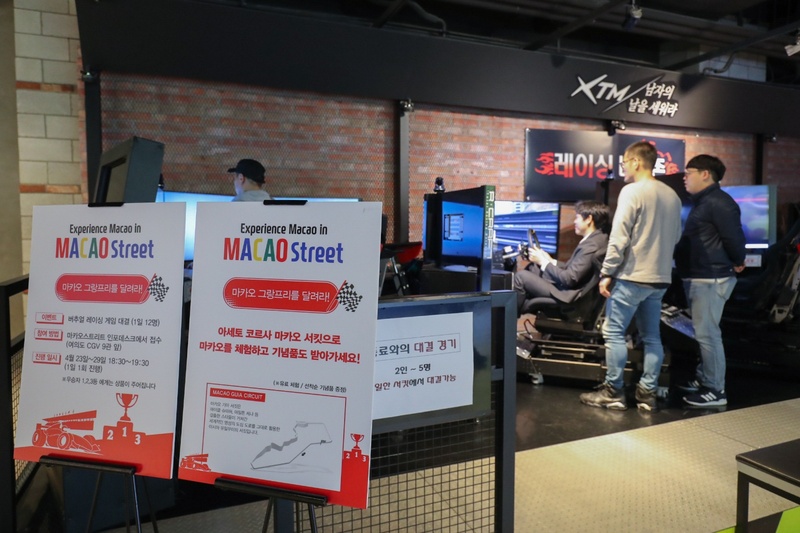 Macao Government Tourism Office (MGTO) kicked-off today (April 23) its annual major promotion in Korea, this year featuring a “Macao Street” in Seoul, showcasing the city’s heritage, gastronomy and signature events, to attract more Koreans to visit Macao. 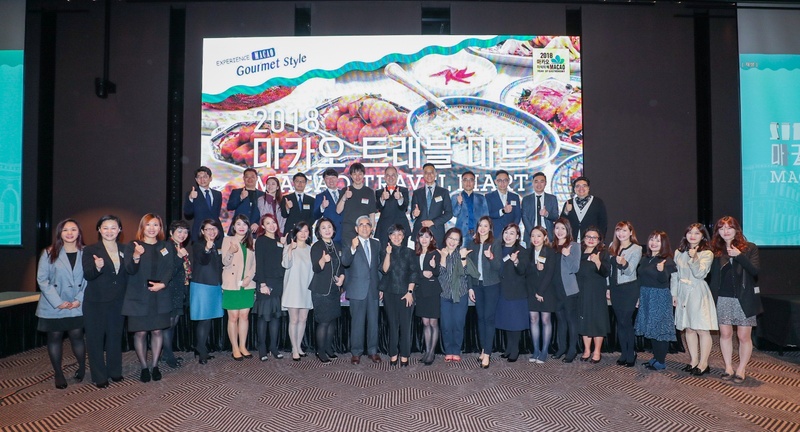 Travel marts in Seoul and Busan are also being held in tandem with the promotion, to enhance relations between Macao and Korea tourism operators, further developing Macao’s top international visitor source market. MGTO Director, Maria Helena de Senna Fernandes, presided over the kick-off ceremony of “Macao Street”, joined by Chairman of the Korea Association of Travel Agents (KATA), Yang Moo Seung, MGTO representative in Korea Lew Chi Young, General Manager of Air Macau Seoul Office, Kim Hee Cheol, among other guests, including travel trade from both sides and Korean media. 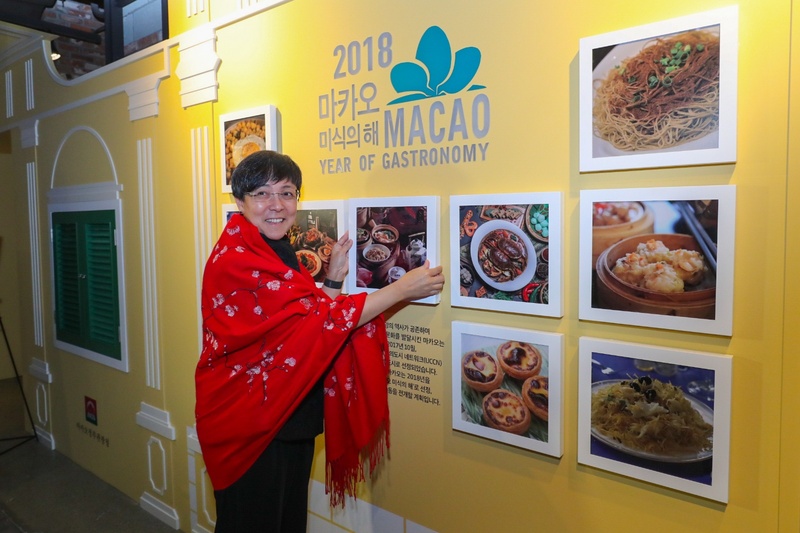 Until April 29, families and other moviegoers to the popular CGV Yeouido multi-entertainment cinema complex, inside IFC Mall, in Seoul, will be greeted by a “Macao Street” displaying the city’s gastronomy and signature events, set up in a Macao heritage themed decoration. The cinema complex is equipped with Screen-X, which provides moviegoers a 270-degree viewing experience by expanding the scene onto the sidewalls. 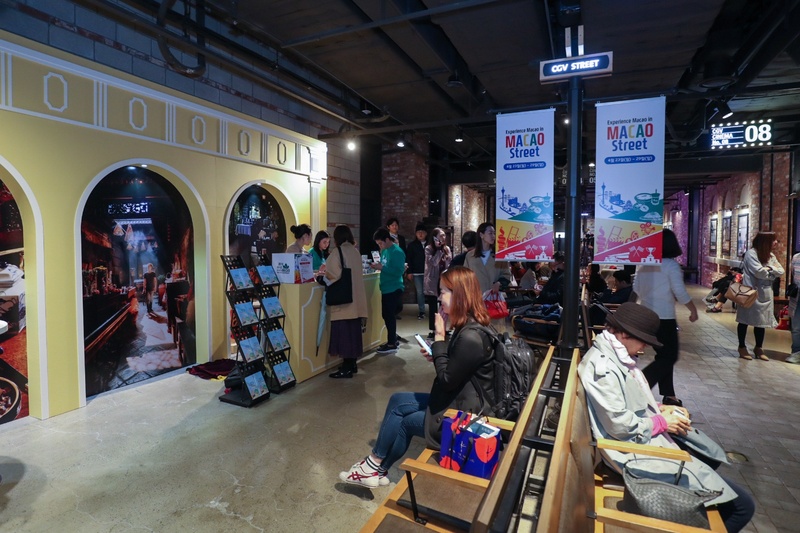 The “Macao Street” features a “Macao Screen Box” at the gate of one of the theaters at CGV, equipped with Screen-X, inviting moviegoers to experience Macao, with special emphasis on the recent designation as a UNESCO Creative City of Gastronomy. Right in front, a “Macao Café” displays the city’s major attractions and an information desk. An International Film Festival & Awards‧Macao image wall and photo taking zone is also a main attraction of the “Macao Street”. Another special feature is the Macau Grand Prix (MGP), with a mini MGP organized daily on race simulators, with awards and podium for the winners, among other activities. To gear up for the weeklong event, MGTO launched a social media competition to draw more attention of the public to the promotion, with around 140 winners invited to attend the kick-off ceremony. Promotional videos of “Experience Macao Gourmet Style” and the 65th MGP will also be screened for a month in 35 cinemas around Seoul in Screen-X format. Macao tourism operators, representing more than twenty hotels, resorts, travel agencies, air and sea transportation companies, entertainment and event venues, are in Korea to attend the MGTO organized travel marts in Seoul and Busan, in tandem with the annual major promotion of Macao in Korea, to promote more direct business contacts between the two sides. The travel mart in Seoul was held today (April 23), attracting around 130 Korean operators. The daylong event included presentations about several Macao tourism products, with a networking lunch in between. 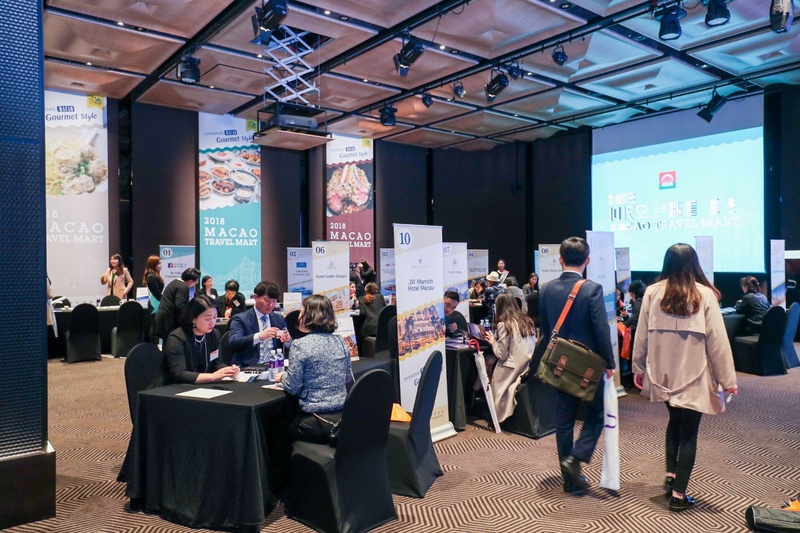 On Wednesday (April 25) will be held the travel mart in Busan, which is slated to be attended by around 50 Korean travel trade professionals. 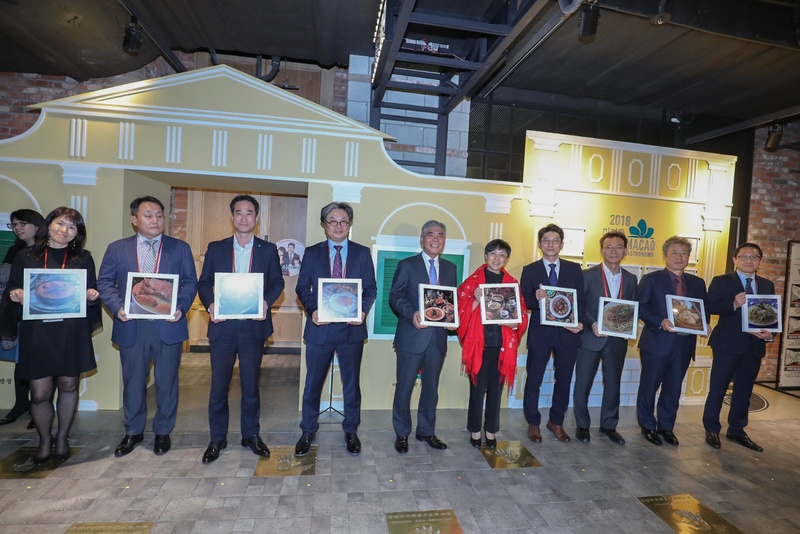 A networking lunch organized after the travel mart at the second largest city in Korea will have among its guests the President of the Busan Tourism Organization, Shim Jeong Bo. Korea is Macao’s top international visitor source market. The number of visitors from Korea has been steadily increasing for the last few years, with the country becoming the first international visitor source market to surpass half a million visitors in 2014. For the last couple of years it marked double-digit growths, increasing by 19.5 per cent to 662 thousand visitors in 2016 and growing 32 per cent to 874 thousand visitors in 2017. In the first three months of the year, the number of visitors continued to increase by 4.6 per cent. With frequent regular flights operated by five air carriers (Air Macau, Jin Air, Jeju Air, T’way Air and Air Busan), providing around twenty direct links a week, between Macao, Seoul and Busan, together with Macao and Korea tourism stakeholders, MGTO will continue to explore the potential of the market to diversify the city’s visitor source markets.